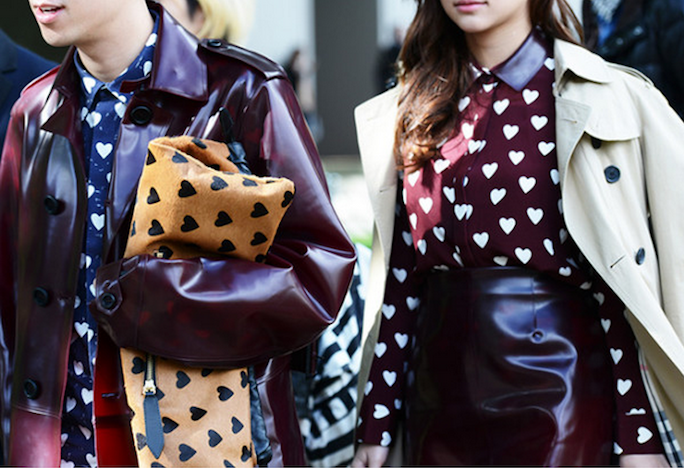 Burberry Prorsum's heart-print accessories have me craving some romance in my fall wardrobe. Their new calf hair smoking slippers are one of the must have shoes of Fall 2013, and perfectly juxtapose the feminine heart-print with a masculine form. Although shoes are usually my first choice, my favorite accessory in Burberry's heart-print series is the Dinton satchel, which combines a sleek leather silhouette with a peek of heart-print whimsy. What do you think, are these hearts something you're crushing on? Those flats are just too cute–love 'em! I love everything and anything with hearts- so I want all of these! I am LOVING these trends! Those loafers are gorgeous! I must have them this fall.